EDIT: This tool is now in master, and will be part of Blender 2.74 release. A fair amount of bugs were busted (most noticeable being wrong handling of (interpolation) weights, and crash with the modifier when switching target mesh to Edit mode). Data structures were tweaked (WARNING: this means files saved with builds from 08/01 are not ‘compatible’ with those new builds, they will load, but all custom normals will be lost). Some optimization work was done (especially in code computing final split normals, which is now multi-threaded). Modifier UI was reworked, and a new ‘from split normals’ mode was added, which uses split normals of target, instead of its face normals. As usual, please note that this remains “experimental” code, do not expect on stability of new features yet, nor of the file format (though this one should not change anymore, imho). Please report any bug you may (will!) find to our bug tracker, https://developer.blender.org. EDIT: You can now found this project’s code in a WIP branch on our git repository: temp_custom_loop_normals (note the edits to FBX addons to enable custom normals import are not available this way). Supports both vertex and ‘face corner’ normals. 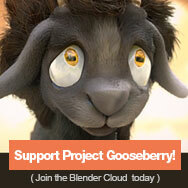 Note other addons can do it as well, but that’d be done once the work is merged in Blender’s master! Those custom split normals are stored like e.g. vertex colors or any other custom data layer, which means that you can also edit your mesh (deforming should still give reasonably good custom normals, modifying the topology however (adding/removing faces, sharp edges, etc.) can quickly lead to nasty custom normals!). Please note there is no guarantee about the final format of those data though, in other words, files created with those testbuilds might very well not be usable by later ones or final version (though this is rather unlikely, imho)! Custom split normals are fully integrated into the process to generate final split normals, so when you use the laters (exactly as in current official 2.71 release or master), you’ll get your custom normals instead of auto-generated ones, if available. Note that when there are some custom split normals data, the ‘angle’ threshold of AutoSmooth is unused (as if it was at 180°), so you only can use sharp edges to define ‘smooth fans’ (i.e. a set of adjacent face corners sharing a same vertex, and a same split normal). Ellipsoid assigns to each vertex the normal it would have at the surface of an ellipsoid (proportions of that ellipsoid are defined from bounding box of the modified object, and you can use another object to define the position of its center). Allows e.g. to realize a simple ‘tree shading’ effect (see http://wiki.polycount.com/VertexNormal ). Object uses another object’s geometry to assign to each vertex the normal that target’s closest face. Allows e.g. to make the ‘fake smooth round corners’ effect – you take a cube, bevel its edges, and add a SetSplitNormals modifier to it using another cube as target. * Shapekeys export has been added, including animation (only for relative shapes, n o support for absolute ones’ animations currently). * Armatures import was added (though there is a remaining unclear issue about bones’ orientation). * Shapekeys import was added. * Limited animation import was added, for loc/rot/scale of objects and bones, and values of shapekeys. As usual, a bunch of more minor enhancements and bug fixes was done too. A general status about close 2.71 Blender release concerning GameDev. An article about the new Cycles Baking feature. Well, we did not get enough support to make a full feature film right now… so we’ll do a pilot about the wandering of Michel the sheep! Animation with OpenSource tools! The more support we get, the better the pilot - and the better the chances to be able to do the real feature film afterward!